Your donation will be made to the West Yavapai Guidance Clinic Foundation. Don’t miss the opportunity to be part of the 11th Annual Chalk It Up! Prescott celebration! This FREE, family-friendly and community centered event is intended to cultivate and support the creativity in people of all ages and abilities, while raising funds for the mental health, crisis intervention and substance use treatment services supported by the West Yavapai Guidance Clinic Foundation. 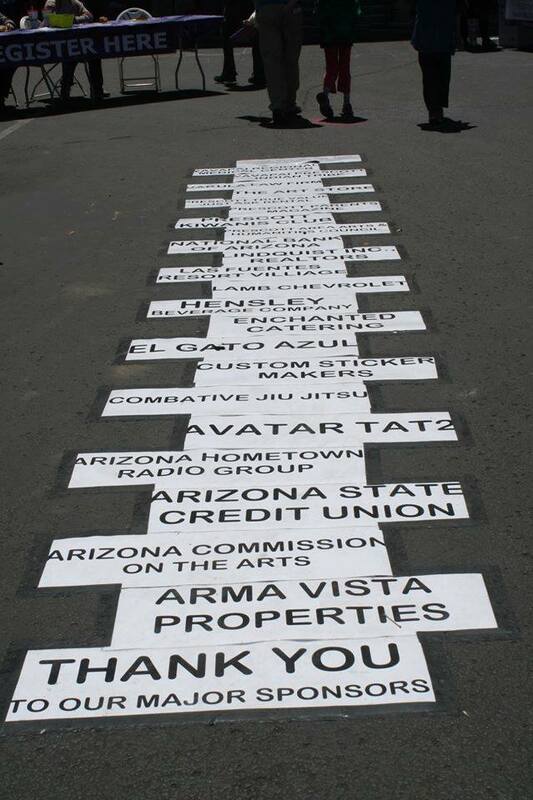 Artists will create a weekend museum of pavement chalk art on Saturday, April 13 and Sunday, April 14, 2018 from 10:00 a.m. to 4:00 p.m. at 201 N. Montezuma Street – in the National Bank of Arizona’s parking lot. In just nine years Chalk It Up! 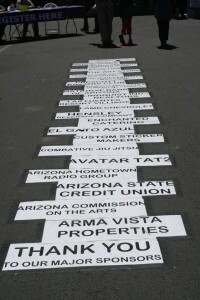 Prescott has created a community centered public art event attended by over 5,000 people. Attendees have the opportunity to create drawings, listen to music, view the art and share in the fun. The event is put on by the West Yavapai Guidance Clinic Foundation (Tax ID 86-0576008). All proceeds benefit the six funding priorities the Foundation has identified to help improve community mental health in the quad-cities area, as well as help fund the next year’s festival. Your sponsorship helps us keep this event FREE…and will be used to pay for chalk purchases, advertising, transportation, food and lodging for featured artists, and event equipment. We would appreciate your support through a sponsorship for this amazing annual event. Our Sponsorship Brochure and Sponsorship Levels Flyer cover all the details! Can we count on you to be part of this Prescott tradition? Questions? Contact: Lacey Carlock directly at (928) 445-5211 x3635 or at l.carlock@wygc.org. Thank you for supporting Chalk It Up! Prescott and community mental well being! !